Job Description Robyn Stout is the Program Coordinator for the NC 10% Campaign, a statewide collaborative initiative of the Center for Environmental Farming Systems (CEFS) and NC Cooperative Extension to create demand for locally-grown/raised/caught foods. 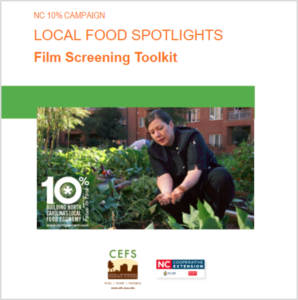 The NC 10% Campaign encourages NC individuals, businesses, organizations, and institutions to spend at least 10% of their food dollars on NC-grown foods. Robyn works to create demand for local foods & to stimulate economic opportunities for NC farmers & fisheries through promoting Campaign partners via web-based and multi-media initiatives; through outreach via sector programming & community events; and through collecting Campaign member spending habits via an online local foods data tracking dashboard. 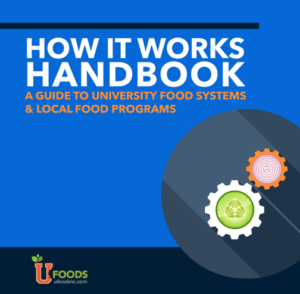 Robyn helped produce a guide on networking growers and buyers and helped create the Campaign's Local Food Ambassador Program.